Charlie Puth's second album, Voicenotes, is available now. If you've flipped through a radio dial recently, there's a good chance you've stumbled on Charlie Puth's voice — maybe on a few stations at once. His song "Attention" has been everywhere for months; the full album, Voicenotes, is out today. That title is a nod to process: Like many songwriters, when inspiration strikes he'll sing little fragments of melodies into his smartphone. Less common is where he goes from there — writing, recording and producing fleshed-out tracks in a room of his Beverly Hills mansion, where he recently got a visit from Morning Edition. "I'm so used to doing everything myself," he tells NPR's David Greene. "It would be kind of pointless for me to hire an engineer because I would just continuously push them out of the way." Puth has been a one-man production house since he was a kid in New Jersey recording songs in his bedroom — and a natural performer since, as an 11-year-old churchgoer, he was called on to fill in for an organist who was out sick. "My feet couldn't even reach the pedal boards," he says. "But I played Christmas masses, like all from memory, because every Sunday I would go to church and hear the same songs over and over." Watching Puth mess around with his sound equipment, it's easy to forget the scale of what he is producing. His first hit, as the hook man on Wiz Khalifa's "See You Again," was featured in a The Fast and the Furious film in 2015; it spent 12 weeks at No. 1 and the video has been streamed more than 3.5 billion times. "The fame is fun, at times. There are paparazzi and people who are literally just chasing me to make money for themselves — like, what is it, like 500 bucks a picture? It's probably a hundred bucks for me. But I don't know what the hell is so interesting about me getting coffee," he says. "I'm a private person. I like being recognized for my work today, but I don't like being recognized for things that have nothing to do with what I'm showing you right now." In the lyrics of "The Way I Am," which Puth says is the first song he's ever written completely from his own experience, he hints at some of those feelings: "Maybe I'ma get a little anxious, maybe I'ma get a little shy / 'Cause everybody's trying to be famous, and I'm just trying to find a place to hide." That place seems to be his cluttered home studio, where he says he's a bit more comfortable than he is onstage. "I think I like this 10 percent more, just because there's nothing more exciting than the process. I love making little sounds and putting them into the song," he says. "That's fun to me." I swear I flipped around radio stations, and I've heard this song playing on different stations, like, at the same time. CHARLIE PUTH: (Singing) You've been runnin' 'round, runnin' 'round, runnin' 'round, throwing that dirt all on my name 'cause you knew that I, knew that I, knew that I'd call you up. GREENE: The song's called "Attention," and it's been everywhere for months now. And today, the full album comes out. The singer is Charlie Puth. And I think the best way to describe him is do-it-yourself musician. As a kid in New Jersey, he taught himself how to produce music in his bedroom. Now he's 26 but still pretty much that kid. I mean, he's writing. He's recording and producing songs in his room. The room just happens to be in his own mansion in Beverly Hills. And the hits are massive. PUTH: Yes. I just - I'm so used to doing everything myself. It would be kind of pointless for me to hire an engineer because I would just continuously just push them out of the way. PUTH: My greatest tool is my wireless keyboard and my little mouse here. GREENE: And also his smartphone. When inspiration strikes, Charlie will sing little fragments of melodies into the phone. It's why he's called his new album "Voicenotes." Charlie uploads those sounds into his computer. And that's where he starts building a song. So I'm actually looking at, like, .wav files that have built one of the biggest pop songs in radio right now. PUTH: That makes me feel really good. Oh, yeah. Here it is - beatboxing. GREENE: But this is recorded in your iPhone somewhere. PUTH: And then once I had that, I made this kick here, which is just knocking. PUTH: And you already see what it did just there. It just made your head move a little bit. PUTH: And then you put it together. PUTH: (Singing) You just want attention. You don't want my heart. Maybe you just hate the thought of me with someone new. GREENE: Now, you should know that Charlie Puth has a superpower. It's perfect pitch. He hears music in sounds that, to the rest of us, are just ordinary. PUTH: I'm hearing the note of that drill next door. It's a B. (Imitating musical note). GREENE: Wait. You're hearing the drill from the construction site next door? PUTH: (Imitating drilling sound). Yeah. I think they're power drilling something. (Imitating drilling sound). Yeah, I get distracted by sounds a lot. GREENE: There's a story of you in church at 11 years old, when you realized that you had this talent. PUTH: The organist was sick or I think just drank too much. PUTH: They ended up firing him years later. It was really awkward. GREENE: You're 11 years old. PUTH: And we had this song. I've never been able to find this song, but it went, (singing, playing piano) we are grateful for our blessings, for our blessings great and small. And I just played that song, and they were like, you might as well - do you know the mass? - and 45 minutes' worth of music. And my feet couldn't even reach the pedal boards. But I played. Then I played Christmas masses, like, all from memory. But it's because every Sunday, I would go to church and hear the same songs over and over. PUTH: Yeah. Like, when I was, like, 5, I would hear (scatting). (Singing) Breaking up is hard to do. But in the key of B major, which is how Neil Sedaka sang it. 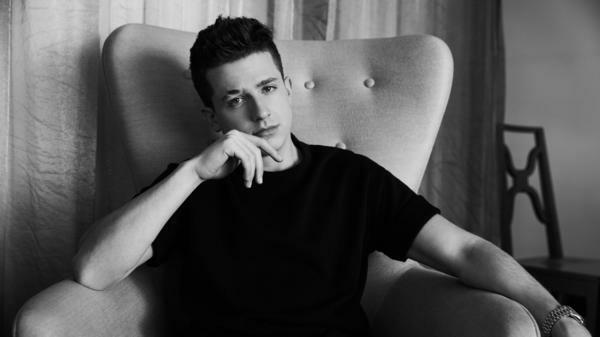 GREENE: When he was a teenager, Charlie Puth built a huge following on YouTube. He would do jazzy covers of pop songs. He later studied jazz at conservatory. And he loves working it into the stuff he does today. PUTH: On "How Long" - the prechorus on "How Long." (Singing, playing synth) She said, boy, tell me honestly - was it real or just for show? This chord, whatever it's called - (singing, playing synth) - it's like a Chick Corea, Keith Jarrett chord. But it's in a pop song. GREENE: Honestly, as you sit here with this young man as he's messing around with his sound equipment, it's so easy to forget the scale of what he is producing. His first hit, "See You Again," was featured in one of the "Fast & Furious" movies. And it spent 12 weeks at No. 1. The video has been streamed more than 3.5 billion times. PUTH: (Singing) It's been a long day without you, my friend. GREENE: This guy does not come across as someone who relishes attention. PUTH: The fame is fun at times. There are paparazzi and people who are literally just chasing me to make money for themselves. Like, what is it - like, 500 bucks a picture? Maybe it's probably a hundred bucks for me. But I don't know what the hell is so interesting about me getting coffee. I'm a private person. I like being recognized for my work today. But I don't like being recognized for things that have nothing to do with what I'm showing you right now. GREENE: Have your friends stuck with you even as you've become this big? GREENE: How hard has that been? PUTH: It's been tricky. This is turning into a therapy session all of a sudden. It's been tricky. But the great thing is that the real friends have come to the surface. So I have a really, really strong friend group. And that's why I live with my brother and sister. And my family is close to me because they'll never treat me different. GREENE: Does the song "The Way I Am" on this album speak to that? PUTH: Yeah. That song is the first song that I wrote completely about myself. PUTH: (Singing) Maybe I'ma get a little anxious. Maybe I'ma get a little shy 'cause everybody's trying to be famous, and I'm just trying to find a place to hide. GREENE: And that place to hide for Charlie Puth is this cluttered den where he seems really content. Do you like this part of it more than actually, like, performing live? PUTH: Yeah. I think I like this 10 percent more just because there's nothing more exciting than the process. And I love making little sounds like (flicking cheek water drop sound) and putting them into the song. (Flicking cheek water drop sound). And my little snaps (snapping fingers). That's fun to me. GREENE: Charlie, you're a pleasure to talk to. PUTH: (Singing) But that's just the way I am. That's just the way I am. That's just the way I am. GREENE: Hanging out there with Charlie Puth. His new album is called "Voicenotes." Transcript provided by NPR, Copyright NPR.